BOOK SUMMARY: Detective Hercule Poirot was expecting a typical and uneventful trip back to England on the Orient Express. Then, one morning aboard the train, one of the passenger’s bodies is found; brutally stabbed to death. 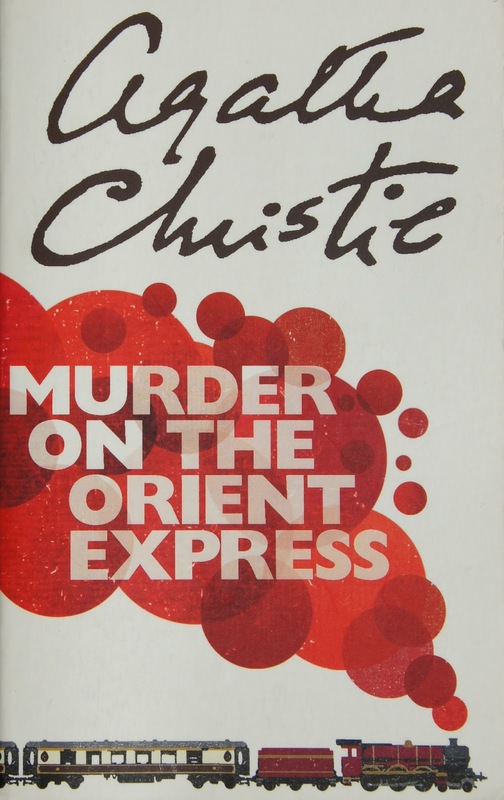 Everyone on the Orient express is now considered a suspect and it’s up to Poirot to solve the mystery and discover just who the murder is. 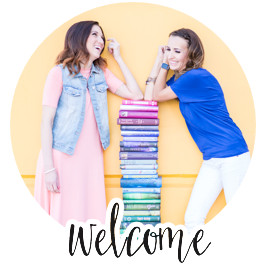 GROUP REVIEW: Jen did such an AMAZING job of moderating this book. She really brought the feeling of the book to life when she hosted her own complete murder mystery before the discussion. We are going to have a hard time beating this haunted book club in the future. We all loved Agatha’s writing style. We read "And ThenThere Were None" last year and we thought the same thing about that one as well. Her writing style is refreshing in the sense that it isn’t fast paced so it gives you time to think, for suspense to build, for suspicions to arouse which is perfect for a mystery novel. We also liked how she never give anything away with her murder mystery clues. A lot of the other girls saw the 1974 movie of The Orient Express and really liked it and recommended it. It was fun to see who they had play for each of the characters. Although the physical description of each character was amazing, there wasn’t too much else to go off with each character. It was hard to connect with anyone in particular, because we didn’t know too much about them. We didn’t like how it wasn’t from the detective Poirot’s perspective. It would have been fun to see how he solved things and his thought process in doing so. Because it wasn’t in first person, it felt like he was jumping to conclusions a lot of the time which was a little unbelievable and frustrating because we (the reader) didn’t know how he came to his conclusions. This is to be expected in a book like this, but it definitely felt like the story was very repetitive because we heard a lot of the same thing over and over from each of the different character’s perspectives. And although the ending was very clever and unexpected, it was a little fast and somewhat anticlimactic. We talked a lot about the difference between revenge and justice, and what the murder in this story was. Revenge brings about more revenge while justice usually provides closure. Revenge is driven by emotion while justice is driven more by logic and rationality. Without giving away any spoilers here, it was a very good discussion and it got all of us thinking. This particular murder was definitely motivated by both revenge and justice. Because of how the justice system can sometimes fail, the murderer felt like they had to take justice into their own hands, but had that emotion to back it up as well. -The morality of murder. What would we have done in the same situation? Again, trying not to give away any spoilers, we talked a lot about what we would have done in this same situation. Would we take justice into our own hands and finish what the justice system should have done, or would we just let it go. Some people agreed with the murderer and would have wanted to do something similar. Some in the group felt like the murders actions were completely justified. Others though felt that there is never a circumstance in which murder is justified. This led us to talk about murders that happen in the heat of the moment vs. a premeditated and planned murder. We agreed that although we would have wanted to do the exact same thing as the murderer did, it’s a whole different story to actually plan it out and execute it. There are other ways the murder could have exacted revenge without killing but then, we wouldn't have this great book if it was written any differently. -Overall what did we think? This was a great, light and quick read. It brought out some good discussion and was fun to try and figure out the mystery. It was definitely a perfect read for October! 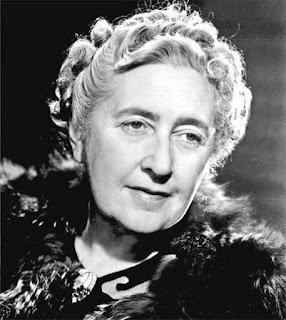 ABOUT THE AUTHOR: Agatha Christie ( 1890-1976) was an English crime novelist, short story writer and playwright. She also wrote six romances under the name Mary Westmacott, but she is best known for the 66 detective novels and 14 short story collections that she wrote under her own name, most of which revolve around the investigative work of such characters as Hercule Poirot, Jane Marple, Parker Pyne, Harley Quin/Mr Satterthwaite and Tommy and Tuppence Beresford. 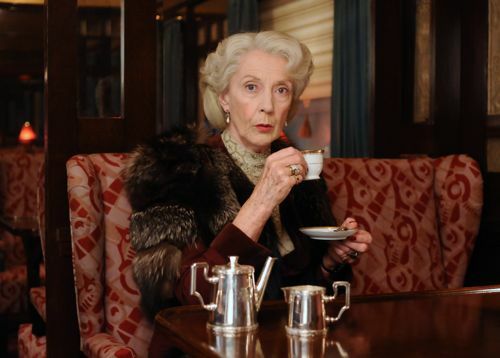 She wrote the world's longest-running play, a murder mystery, The Mousetrap. The Guinness Book of World Records lists Christie as the best-selling novelist of all time. Her novels have sold roughly 2 BILLION copies, and her estate claims that her works come third in the rankings of the world's most-widely published books, behind only Shakespeare's works and the Bible. According to Index Translationum, she remains the most-translated individual author – having been translated into at least 103 languages. And Then There Were None is Christie's best-selling novel, with 100 million sales to date, making it the world's best-selling mystery ever, and one of the best-selling books of all time. "One of the luckiest things that can happen to you in life is to have a happy childhood. I had a very happy childhood." Check back later this week to see our menu and photo recap of our murder mystery dinner!